Taylor Stivers posted this on Facebook. 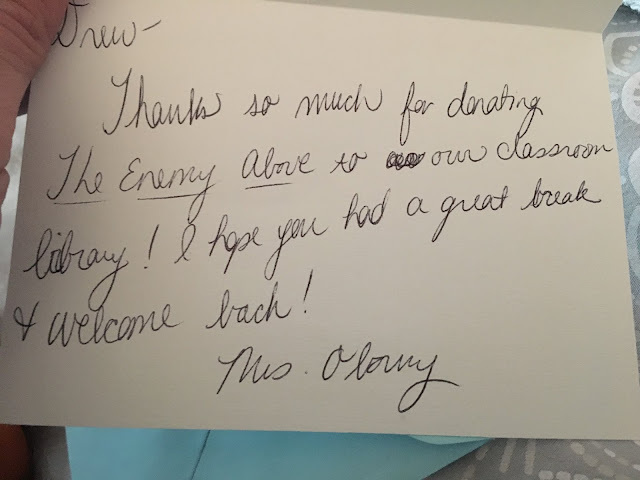 Her son, Drew, used his own money to buy a book and donate it to the classroom. Taylor didn't know about it until the teacher's thank you note arrived.